Perfect Blue Sky (Sweden) see: Samples etc. Perigeo formed in 1971, releasing several albums throughout the decade before splitting, reforming as Perigeo Special. The first fruit of the new setup was 1980's double concept album Alice, a rather mainstream effort, spoiled by material like the piano-bar jazz of Il Decalogo and the disco-ish Festival, although the jammed-out jazz rock of Regina Pop Star picks things up a little. Paolo Rustichelli plays synths and Mellotron, with background chordal choirs on Bullo E Pupa; shame he wasn't used more. I'd like to give this a better rating, but I'm afraid its slick jazz and pop moves have defeated me. Perihelion Ship (Finland) see: Samples etc. Perishers (Sweden) see: Samples etc. Lee Perk (Spain) see: Samples etc. 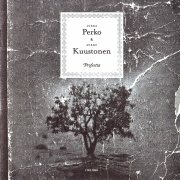 Jazz saxophonist Jukka Perko and singer-songwriter Mikko Kuustonen collaborated on 2008's Profeetta, a pleasant, slightly jazzy singer-songwriter album (am I surprising you here? ), at its best on the imaginative Vieraina Vuodenajat, the gentle Toinen Nainen and jazzy closer Ulapan Laulu. While some of the album may be a little unengaging, there are no obvious 'red carders', for a change. Esa Kotilainen plays his Mellotron on two tracks, with slightly choppy, background strings on Tyttäreni and chordal flutes on Kaksitoista Vuotta. No, not essential, but, when confronted with the musical equivalent of the Great Pacific Garbage Patch, 'pleasant' is sometimes enough. Rudy Perrone was guitarist with Cathedral (US version), playing on the sole album from their original incarnation, 1978's semi-legendary Stained Glass Stories. 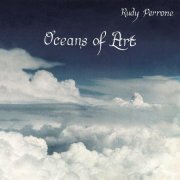 1981's Oceans of Art is his only solo album from the period, surprisingly progressive given its relatively late date, built around Perrone's superb acoustic guitar work, most tracks also featuring vocals, in case you were getting the impression this was a typical 'guitarist's' album. This approach is abandoned towards the end of the album, with the new wave/prog (uneasy bedfellows, as you can imagine) crossovers of To You and closer The Adolescent and Violent Silence, like a more compact version of Cathedral's sound, making for some welcome variety on an otherwise slightly samey release. Cathedral's keyboard player, Tom Doncourt (Quiet, Fauve Museum), adds Mellotron to three tracks, with string section and choir on the title track, string section on The Cusp and regular strings on Violent Silence, enough to make their mark on the album, without overwhelming it. Rumour has it that this will get a proper CD issue sometime soon, although there's no mention of the project on Perrone's site. As a result, I've no idea where you might find this, but if you can track a copy down, it's worth the effort. Persephone's Dream (US) see: Samples etc. Nina Persson (Sweden) see: Samples etc. Jorge Pescara (Brazil) see: Samples etc. 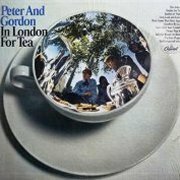 Peter & Gordon, a.k.a. Peter Asher (brother of Jane, relevantly then Paul McCartney's girlfriend) and Gordon Waller, were sounding like men out of time by 1967, as their lightweight harmony pop sank slowly in a sea of psychedelia. Macca wrote several of their hits, sometimes under a pseudonym, but his interest in the duo was probably on the wane by this point and, going by their (unbelievably) ninth album in four years, In London for Tea, they'd become pastiches of themselves anyway. The album was presumably aimed at the American audience, as I can't see the Brits taking its picture-postcard view of our capital particularly seriously; I've read that it wasn't even released in the U.K., which would make some kind of sense. I'm sure the Suits looked at Herman's Hermits' massive transatlantic success, playing the quirky Brit bit to the hilt while laughing all the way to the bank and thought, "If it works for them..." However, without an ersatz Peter Noone, any chance of reproducing their feat in the long-term was doomed from the outset, I suspect. It's not a bad album as such, just not an especially good one, with too many so-so songs (see: the actually pretty godawful Please Help Me, I'm Falling), although a few psych/chamber pop touches like the harpsichord on the ridiculous Sunday For Tea (their last hit of any kind) redeem it slightly. Mellotron from an anonymous session musician, with brass and strings on The Jokers, although all the album's orchestrations are real. So, why this one track? Who knows? It enhances a passable song well enough, but is pretty inessential in the grand scheme of things (then again, so's this site, for what it's worth). Unless you're a big fan of orchestrated '60s pop (yes, I know you're out there), you're probably not going to go a bundle on this, although it has its occasional moments, its lone 'Tron track among them. Duane Peters & Pascal Briggs (US) see: Samples etc. 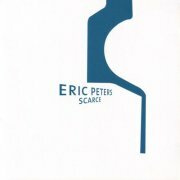 I was onto track three of Eric Peters' Scarce before I realised he's a Christian artist, Save Something For Grace giving the game away, while You Come Over Me is unintentionally funny in that 'godly type being too innocent for his own good' kind of way. Anything relatively inoffensive? Yes, surprisingly: opener Radiate and Kansas. Ben Shive plays Mellotron flutes on Squeeze, but only just, with the odd background chord here and there until, finally, a properly audible one at the end of the song. Real? Probably. What's the nicest thing I can say about this album? Less unpleasant than most CCM. Andrew Peterson (US) see: Samples etc. All titles: Benmont Tench's M400 &/or M1? Tom Petty's had a slightly odd career, not releasing his debut album until 1976, despite being born in 1950, making his spiritual home some years earlier than his first flush of success. He survived the horrors of the '80s remarkably well, even managing a great psych single in '85 with Don't Come Around Here No More, and gained a career boost from being the youngest member of the Traveling Wilburys later that decade. The '90s saw him taking on the role of Rock Elder Statesman, without the pompousness that so often goes with the title, not to mention no appreciable drop in songwriting quality. 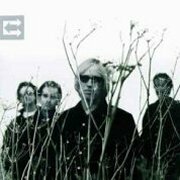 1994's Wildflowers is Petty's second solo album, though most of us would be hard-pushed to spot the difference, especially considering that most of the Heartbreakers are present and correct, including keys man Benmont Tench. It's a good album without being groundbreaking, covering all Petty's bases from fully acoustic (Don't Fade On Me) to all-out rock (Honey Bee) and every stage in between. Tench plays Mellotron on a couple of tracks, with quite upfront flutes and more background cellos on Only A Broken Heart and a weirder, less overt flute part on Crawling Back To You. Echo saw him back with the Heartbreakers officially, though sonically, it heavily resembles Wildflowers, essentially being his take on what's become known as Americana. I actually found the album a little dreary in places, though Petty fans will almost certainly love it; it certainly sounds like a Tom Petty album, which beats just about anything being produced by anyone new, sad to say. Definite Chamberlin from Tench on closer One More Day, One More Night (flutes) and possible strings on Rhino Skin, but, as usual, it's hard to tell. Strange to think how Tom Petty's been making, essentially, the same kind of album for the better part of four decades, but it's taken this long for the world to catch up with him again. 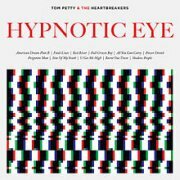 2014's Hypnotic Eye is another solid, reliable roots-rock record, highlights including rocking opener American Dream Plan B, the classic Petty of Red River and All You Can Carry, Power Drunk and the sinuous Shadow People. Tench on just Mellotron this time round, with chordal flutes and a cello line on Full Grown Boy, high strings and vibes (presumably, with none credited on the track) on Sins Of My Youth and background strings on Shadow People. Randy Pevler (US) see: Samples etc. Madeleine Peyroux (US) see: Samples etc. While every review I've ever read concerning this band comments on Jason Schwarztman's acting (and that Francis Ford Coppola is his uncle and Talia Shire is his mom), none of them note that Phantom Planet is Missing actually was released months before Schwartman's film debut in Rushmore. It would not surprise me if the omission of this fact incorrectly leads readers to believe that Phantom Planet is some kind of gimmick band put together to enhance Schwartzman's burgeoning film career. I suppose it doesn't help that, at the time Phantom Planet is Missing came out, no member of the band was older than 21 and lead singer Alex Greenwald is a model. Clearly, Phantom Planet is no gimmick. I happened to pick up Phantom Planet is Missing the week it was released after listening to the first three songs at a Tower Records 'CD bar'. (Consequently, while most people seeing Phantom Planet for the first time likely saw Schwartzman and said "Hey, its the guy from Rushmore", I saw Rushmore and said "Hey, its the drummer from Phantom Planet!"). The first three songs were that good and the rest of the CD really didn't disappoint either. The band plays earnest art-pop - I'm certain their influences would include the usual suspects (Beatles, ELO, old David Bowie, Cheap Trick, XTC etc.). 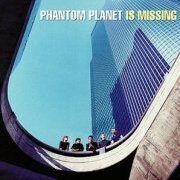 Phantom Planet has a unique sonic 'attack' in that its three guitarists - Greenwald, Jacques Brautbar and Darren Robinson - really take the time to come up with great guitar 'arrangements'. Rarely do all three play the same thing at the same time and they come up with a great variety of guitar sounds. As good as it sounds on the CD, it's even more effective live. Adding to the mix on Phantom Planet is Missing is a copious contribution of Chamberlin courtesy of the ubiquitous Patrick Warren. Opener I Was Better Off is laden with flutes and strings as well as what sounds (to my untrained ears anyway) like either slide or Hawaiian guitar during the chorus. Flutes are used effectively to punch up the chorus in So I Fall Again and there is a great little cello melody weaving in and out of the verses in the power-poppy Recently Distressed. Possibly the tape-replay highlight of the CD is Warren's great string waltz that wraps up the end of Can't Take It. Also of note is the great vibe part in Down In A Second. Producer Mitchell Froom of all people unbelievably opted not to use Mellotron/Chamberlin on Phantom Planet's second CD, The Guest. The few songs I've heard are very good, though, augmented as they are with real strings etc. Incidentally, according to Allmusic.com, Schwartzman left Phantom Planet two months ago (August 2003). As he did not appear to write any of the music, I'm not all that concerned that the band's creative abilities will be horribly affected by his departure, although reviewers, I suppose, will start referring to Phantom Planet as his former band. At any rate, if you like crunchy (but happy) arty power pop, pick this up, although I can certainly recommend it for its Mellotronic (okay, Chamberlinic) content as well. 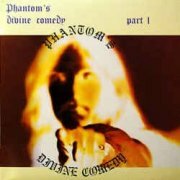 I listened to Phantom's Divine Comedy, Part 1 before I read any online reviews, but still managed to come to the same conclusion as most other reviewers, i.e. it's a rather ropey Doors pastiche with a vocalist who sounds slightly like Jimbo on a bad day. The music is basically piano-driven slightly hard rock, with few memorable features, while the lyrics are by and large preposterous rubbish, although at least they're amusing in places. I've no idea why they called themselves what they did, let alone why they used pseudonyms like Phantom, X, Y and Z, unless it was a semi-deliberate attempt to pull the wool over the public's eyes (see: Klaatu). The weirdest thing about the whole project is that is was actually released by Capitol, rather than just creeping out on some two-bit independent. What were they thinking? The Doors? All in all, this is a bit dismal. Plagiarism is rife; Stand Beside My Fire could be accused of ripping off Hawkwind's Magnu, had that appeared a year earlier (! ), and Welcome To Hell cops lyrics from Sabbath's NIB. I sat through most of the album thinking, "No bloody 'Tron here", until the uncredited strings on Welcome To Hell, possibly played by the mysterious 'Z', who may or may not be otherwise known as Mike DeMartino. So; pretty tedious, even to fans of the era, with just one passable 'Tron track. Avoid. Phenomenal Handclap Band (US) see: Samples etc. Phideaux (US) see: Samples etc. 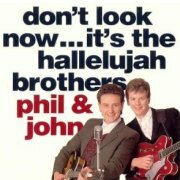 Nothing to do with the identically-named '70s German duo (whose names weren't Phil and John anyway), this Phil & John are Phil Baggaley and John Hartley, who were that most horrible of things, a Christian folk/rock/pop duo, from Mansfield, of all places. 1989's Don't Look Now... It's the Hallelujah Brothers was their fourth album, full of limp paeans to their god in a variety of pop/rock styles, sung in rather limp voices; if truth be told, neither was really lead vocal standard. Recorded at no fewer than six studios on two continents, they're helped out by a cast of thousands (OK, maybe a dozen), including our old friend (?) Phil Keaggy, who chips in on guitars. Is there a best track? No, but a seemingly uncredited version of Nick Lowe's (What's So Funny 'Bout) Peace Love And Understanding (as popularised by Elvis Costello) is easily the best lyric. Along with harmonium, Steve Lindsey plays, surprisingly, Mellotron (well, not so surprisingly, otherwise it wouldn't be here), in those dark days for the instrument, with a nice flute part on Heart's On Fire, with faint strings later in the track. It doesn't look like this is available on CD, for which we can all truly praise God. One so-so Mellotron track doth not an album make. Bijou Phillips (turns out it's French for 'jewel', not 'small') is the youngest of 'Papa' John Phillips' five children. 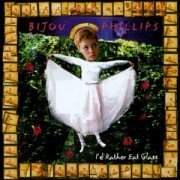 After a chaotic childhood and adolescence, she released her sole album (to date, anyway), I'd Rather Eat Glass, in her late teens in 1999, a surprisingly decent effort, largely in the era's pop/punk style, at its best on the punky I Am A Mountain, the balladic Little Dipper and the arena-rockish Just Look Around. Patrick Warren's generic 'keyboards' credit disguises what sound like Chamberlin flute, unidentified woodwind and string parts on Polite, occasional strings on I Am A Mountain, flutes and strings on Little Dipper and So Tired and minor-league flute and vibes lines on Mermaid And The Earthman, although the strings on the crummy When I Hated Him (Don't Tell Me) sound real. Don't get me wrong; this isn't some lost classic, but if she made her debut now, I'd have just had to grit my teeth through fifty minutes of hideous R&B-inspired pop. Phillips has gone on to a middling-successful acting career, although whether she'll ever record again is unknown. Britta Phillips & Dean Wareham (US) see: Samples etc. Charlie Phillips (US) see: Samples etc. 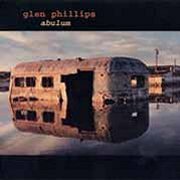 It seems Glen Phillips is the ex-mainman of the Pythonically-named Toad the Wet Sprocket (not the NWOBHM outfit, for those of you who have any idea what I'm talking about). I've never heard the estimable (?) Toads, but Phillips has actually released a pretty decent album on his own, containing several notable tracks, principally the excellent Men Just Leave, which says more about the War Of The Sexes in one short song than many people manage in lengthy learned tomes. I suppose the album's best described as being in 'melancholy singer-songwriter' territory, tipping over into Americana in places, although full-blown country is thankfully a no-no. Not all the tracks caught my ear by any means, but enough did to more than justify its purchase from the 'three for a fiver' racks in Steve's Sounds. Quite a bit of Mellotron/Chamberlin use here, with an upfront Chamby flute part on opener Careless from Richard Causon, who, despite being Phillips' band's regular keyboard player, doesn't get to touch any other tape-replay instruments. Phillips himself plays the discreetly credited 'M400' on two more tracks, with an entirely inaudible part on Back On My Feet and some only slightly more audible flutes on Maya. Producer Ethan Johns provides the rest of the album's tape-replay input, with 'Mellotron strings' (actually separate 'strings', i.e. violins, and cello) on My Own Town, although I can't hear his credited Chamberlin on either Darkest Hour or Professional Victim. So; not a bad album, albeit very downbeat (is this a problem?). Passable 'Tron/Chamby work, though nothing you haven't heard better before, to be honest. Worth a flutter. Grant-Lee Phillips (US) see: Samples etc. Gretchen Phillips (US) see: Samples etc. Omnipop: Patrick Warren/Jon Brion's M1s? Leslie "Sam" Phillips (quite clearly nothing to do with the Sun Records/Studios man) was married to noted producer T-Bone Burnett (d'you think she called him 'T-Bone' at home? ), who produced and played on her third solo album 'proper', Cruel Inventions. 'Proper'? 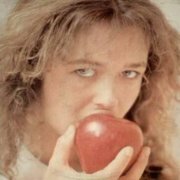 Apparently, she made Christian albums in the '80s under her real name, but let's not hold that against her, as not only did she renounce her faith, but this is actually a halfway decent record. 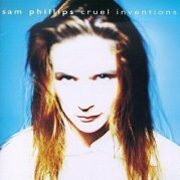 Theoretically, I should hate this, as it's basically a '90s pop album, but it's quirky off-beatness lifts it way above the common-or-garden dreck that everyone else was producing at the time (er, at the time? ), with a hint of late-'60s psychedelia thrown in here and there, not least the Beatles-esque faux-trumpets on Hole In Time. Proving that she was ahead of the game, there are no fewer than three Chamberlin players on the album, years before everyone was using them, although as so often with this strange instrument, it's not always that easy to spot it. Is this the musical equivalent of camouflage? Anyway, Phillips herself, Burnett and the legendary Van Dyke Parks all play the thing, with flutes and something stringy on Lying, solo trumpet and mutated male voices on Hole In Time, and what has to be a left-hand manual rhythm track of a repeated banjo motif (!) at the end of Tripping Over Gravity. Interesting how the very American Chamberlin rhythm tracks were largely replaced by terribly English ones on the early Mellotrons... Wondrously, there's no credit for generic 'keyboards', so aside from the small string section and piano, anything that isn't obviously guitar or bass should therefore logically be Chamberlin, but I still can't hear it on more than three tracks, which isn't to say it isn't there. Her follow-up, 1994's Martinis & Bikinis, seems to have no specific instrumental credits, although it only takes a cursory listen to reveal (presumably) Chamberlin use on a couple of tracks. The album itself is more inventive than its predecessor, although no innovator, despite brief opener Love And Kisses, Strawberry Road and the thoroughly odd Black Sky. Of course, there's no real clue as to who actually plays the Chamby: Phillips herself? Burnett again? Guest Benmont Tench? Any of the above or all three? Anyway, we get cellos on Same Rain and Strawberry Road, although that seems to be it, at least to my ears. 1996's Omnipop (it's Only a Flesh Wound Lambchop) (the subtitle's apparently a quote from Mel Brooks' The Producers) is a vastly less mainstream effort than its immediate predecessors, probably influenced by friend and past tourmate Elvis Costello, amongst others. There's remarkably little here to disappoint followers of skewed, offbeat pop, plaudits going to the oddball Plastic Is Forever, strange little waltz Animals On Wheels and Zero Zero Zero!, to name but three. Chamberlin from Phillips, Patrick Warren and Jon Brion, with cellos all over oddly (but correctly) titled opener Entertainmen, nicely upfront strings and flutes on Animals On Wheels, flutes on Zero Zero Zero!, vibes on Help Yourself, strings on Your Hands... You get the picture. So; three albums, getting weirder as they go along (makes a nice change, that), with Omnipop definitely being the one to go for if you're after something a bit different. It's also the only one worth it on the tape-replay front, notching up an outrageous (and outrageously unexpected) four Ts. Worth the effort.